With the imminent arrival of the Passover holiday we all are particularly mindful of the prohibition to own any leavened items during Passover -- and the concurrent Jewish practice to sell to a gentile before Pesach any leftover Chametz (leavened items) we may have in our possession. And visit Chabad.org for all your Passover holiday-information needs. They do a good job over there. I wish you and yours a liberating and uplifting Passover -- a Happy and Kosher Pesach! Advertisement: You can purchase the Talmud Tractate Pesahim Kindle edition at Amazon. Rabbi Arthur Hertzberg passed away in 2006 at age 84. One example of Hertzberg's intellectual legacy is his reader on Zionism -- is a brilliant statement of Jewish thought in its choices and its sensitive and sharply developed contextualizations. Zionism exists, and it has had important consequences, but historical theory does not really know what to do with it. Though modern Zionism arose within the milieu of European nationalism in the nineteenth century, the historians of that era usually content themselves with briefly noticing the movement, for the sake of "completeness." The root cause of their difficulty (the relatively few members involved and the partial inaccessibility of the source material are quite secondary reasons) is that Zionism cannot be typed, and therefore easily explained, as a "normal" kind of national risorgimento. To mention only one important difference, all of the other nineteenth century nationalisms based their struggle for political sovereignty on an already existing national land or language (generally, there were both). Zionism alone proposed to acquire both of these usual preconditions of national identity by the ... of its nationalist will. It is, therefore, a maverick in the history of modern nationalism, and it simplifies the task of general historians to regard it, at least by implication, as belonging only on the more parochial stage of the inner history of the Jewish community. The great genius founders of modern Israel wrote astounding essays and books. From The Zionist Idea by Arthur Hertzberg - introductions by Hertzberg and primary texts by the Zionist writers, here is another installment. Part 2: Outcry in Russia -- the 1870's and 1880's. Page 141. PERETZ SMOLENSKIN 1842-1885. Page 142. IT IS TIME TO PLANT (1875-1877). Page 145. LET US SEARCH OUR WAYS (1881). Page 146. THE HASKALAH OF BERLIN (1883). Page 154. ELIEZER BEN-YEHUDAH 1858-1923. Page 158. A LETTER OF BEN-YEHUDAH (1880). Page 160. MOSHE LEIB LILIENBLUM 1843-1910. Page 166. THE WAY OF RETURN (1881). Page 168. LET US NOT CONFUSE THE ISSUES (1882). Page 170. THE FUTURE OF OUR PEOPLE (1883). Page 173. LEO PINSKER 1821-1891. Page 178. AUTO-EMANCIPATION: AN APPEAL TO HIS PEOPLE BY A RUSSIAN JEW (1882). Page 181. Part 3: Headlong into the World Arena -- Theodor Herzl Appears. Page 199. THEODOR HERZL 1860-1904. Page 200. FIRST ENTRY IN HIS DIARY (1895). Page 204. THE JEWISH STATE (1896). Page 204. Chapter 1: Introduction. Page 207. Chapter 2: The Jewish Question. Page 215. PREVIOUS ATTEMPTS AT A SOLUTION. Page 217. CAUSES OF ANTI-SEMITISM. Page 218. EFFECTS OF ANTI-SEMITISM. Page 219. PALESTINE OR ARGENTINA? Page 222. FIRST CONGRESS ADDRESS (1897). Page 226. AFTER A MASS MEETING IN THE EAST END (1896). Page 231. MAX NORDAU 1849-1923. Page 232. SPEECH TO THE FIRST ZIONIST CONGRESS (1897). Page 235. The most significant reaction to the events of 1881 was the pamphlet Auto-Emancipation by Leo Pinsker. Like Lilienblum, he could not avoid the knowledge that the persecution of the Jew in Russia "is...not a result of the low cultural status of the Russian people; we have found our bitterest opponents, indeed, in a large part of the press, which ought to be intelligent." Pinsker, therefore, did not pretend to himself that Jew-hatred was merely a hang-over from the medieval past. On the contrary, the historic importance of his essay is in its assertion that anti-Semitism is a thoroughly modern phenomenon, beyond the reach of any future triumphs of "humanity and enlightenment" in society as a whole. Pinsker defined three causes of anti-Semitism: the Jews are a "ghost people," unlike any other in the world, and therefore feared as a thing apart; they are everywhere foreigners and nowhere hosts in their own national right; and they are in economic competition with every majority within which they live. To hope for better days in Russia, or wherever else the Jews were under serious attack, was, therefore, a delusion, and piecemeal emigration to a variety of underdeveloped lands which might be hospitable for a moment meant merely to export and to exacerbate the problem. There was only one workable solution: the Jews must organize all their strength and, with whatever help they could muster from the world as a whole, they must find a country of their own (if possible, their ancestral home in the Holy Land) where the bulk of Jewry would at last come to rest. One of the best books on the subject is -- The Zionist Idea by the late Arthur Hertzberg, a great scholar who passed away in 2006. He presents in this book excerpts from the greatest Zionist writers. ZIONISM EXISTS, and it has had important consequences, but historical theory does not really know what to do with it. Though modern Zionism arose within the milieu of European nationalism in the nineteenth century, the historians of that era usually content themselves with briefly noticing the movement, for the sake of "completeness." The root cause of their difficulty (the relatively few members involved and the partial inaccessibility of the source material are quite secondary reasons) is that Zionism cannot be typed, and therefore easily explained, as a "normal" kind of national risorgimento. To mention only one important difference, all of the other nineteenth century nationalisms based their struggle for political sovereignty on an already existing national land or language (generally, there were both). Zionism alone proposed to acquire both of these usual preconditions of national identity by the elan of its nationalist will. It is, therefore, a maverick in the history of modern nationalism, and it simplifies the task of general historians to regard it, at least by implication, as belonging only on the more parochial stage of the inner history of the Jewish community. It's a good time (after an election) to recall some basics about Zionist Religious Nationalists, Zionist Mystics and Zionist Philosophers. I recommend The Zionist Idea by Arthur Hertzberg. The early forms of religious Zionism beginning with Mohilever and continuing with Pines, Kook, Buber and others -- which led to the organization called Mizrachi and other religious arms of the movement - were peripheral to the success of Zionism overall, but important for its ultimate inclusiveness and definition. SO FAR the selections in this reader and the biographical sketches at the head of each selection have seemed to tell the story of the Zionist idea in a straight line: it began with certain stirrings in the minds of men of religion (e.g., Alkalai and Kalischer) and went on to express itself as a secular nationalism, though Zionism always more or less assumed, and was in tension with, emotions derived from religion. This impression needs to be qualified. Religious Zionism -- that is, not mere traditional piety about the Holy Land but a conscious blending of orthodoxy in religion with modern Jewish nationalism -- has been an important, albeit minority, trend throughout the history of the modern movement. My fiancée and I are both Jewish, but not at all religious. We are planning to get married this coming summer. We planned the wedding for a Saturday afternoon at a nice catering venue. And we want to have a Jewish wedding with a chuppah and with a rabbi to officiate at the wedding. Much to our surprise, we found out now that rabbis will not conduct the ceremony because Jewish weddings cannot take place on Shabbat. We don’t understand this. We don’t want to change the time and date. What should we do? I understand your consternation. For secular Jews and their non-Jewish friends, Saturday is a convenient and perhaps an ideal day for a wedding. But you found out that Jewish custom and law does not permit a Sabbath wedding. This holds true for nearly all the varieties of Jewish observance, from Orthodox through Reform. I’m going to guess that the history of the ritual is not of much concern for you. You might have imagined that a wedding is a religious ritual and the Sabbath is a religious day, so why should there be a problem? Indeed! But that is not the case. You may argue that weddings are symbolic moments in a rite of passage for a new bride and groom. You may even suggest that some of the symbolism in the marriage ritual is beautifully suited to be carried out on the Sabbath. The bride and groom are imagined to be like Adam and Eve in the Garden of Eden. And no matter where the wedding takes place, we imagine the sounds of a wedding celebration and its song are taking place in the streets of Jerusalem and are like foretastes of the joy of the messianic age of the redemption of the world. And the chuppah canopy has been likened to a cosmic symbol of the heavens. So why not have a wedding on Shabbat? Primarily this is because Jewish law and custom treat a wedding as a contractual transaction between husband and wife. The ketubbah is a marriage contract that has to be executed and signed and given over by the husband to the wife, all actions that cannot be allowed on Shabbat. So I am sorry, but I have no ready solution to your problem. I assume you don’t want to change the time of your party. Of course, you could hold a smaller Jewish ceremony in a rabbi’s study during the previous week and then have your larger public wedding feast on Saturday. But I’ll bet you don’t want even to hear about any such workaround. Since I suppose that your event will be in New Jersey, you may be able to find a liberal unaffiliated rabbi who will conduct a Jewish wedding on Shabbat. But I cannot advise you to do that. Perhaps you can step back and consider that your wedding is a single event, not an ongoing lifestyle choice. As such, I do encourage you to honor the age-old Jewish customs, to be flexible, and to reconsider the day of the week you selected for your wedding. I went to see a critically acclaimed musical comedy on Broadway called “The Book of Mormon.” I did not know before going that the play was so sacrilegious! 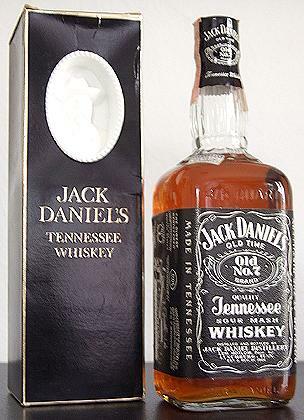 It was way over the border of blasphemy toward Mormonism in particular, and toward all religions in general. The show mocks the teachings of the Mormon church and ridicules its ecclesiastical history and scriptures. It derides the church’s founders, Joseph Smith and Brigham Young. It makes fun of Jesus and the Mormon angel named Moroni. Using language that is vulgar, crude, and offensive, the play rips into all religious mythology and ritual and portrays them as absurd inventions derived by foolish leaders out of desperation, and presented to desperate consumers. To do all of this and get away with it, the play uses the cheerful entertainment style of the Broadway musical to relentlessly deride God, and all teachers and preachers of religion. Please explain to me how such a play can be tolerated at all in our society, let alone lauded as a smash hit, running for years on Broadway and delighting sold-out audiences. At their core, our American ideals promote the freedom of expression, without any boundaries. In its social essences American society is secular, mainly a-religious, but in some ways anti-religious. Some say that our powerful value, promising the freedom of religion, is in effect a means of affording us the freedom from religion. Many social critics extol all of our freedoms as great strengths in the fibers of our culture. They see religions as restrictive of creativity and divisive to our communal lives. They say that American life is strong, vibrant, and healthy precisely because religion is tangential to our guiding values. The best and the brightest minds in the world come to our shores exactly because we do not allow religion to stifle or imprison our thoughts or actions. You clearly do not share that view of the benefit of limiting the roles of religions in society. And you are horrified at the antagonism that a Broadway play directs at Mormonism, which to you is an obvious metaphor for all religions. Surely, if you suppose that religion is a means to prescribe an ethical and moral life, to lend meaning to our existence and a way to worship a divine entity who created our universe, then you ought to be insulted by that comedic musical take down of religion and of God. Now, on the other hand, you would be equally correct to be horrified that violence can be committed in the name of God and religion. Reading the news about such violence in recent morning papers, even the simplest unreflective person will conclude there are more facets to religion than just positive preaching and teaching of a wholly moral life. Your reaction to “The Book of Mormon” makes me stop to think about how we were all “aghast” at the Islamic religious terrorists who killed secular cartoonists. The terrorists targeted their victims, whom they accused of heresy, saying they insulted their religion. And we were further horrified during these recent events by the wanton Islamic terrorist killings of Jews and by other acts of barbarity against non-Muslims. And it’s troubling that all religions at one time or another sustain terrorism and preach and practice that violence be directed to the enemy, who often is labeled by religious leaders as a “heretic” or “infidel.” It’s disturbing that all religions in some way are guilty of inciting heresy hunters and of fostering barbaric acts of violence against those whom they deem heretics. It seems so wrong to me that evil is committed in the name of God against people whose only sin is to hold unapproved opinions about this or that. Yet in the world at large, nearly all religions have held or now hold the idea that heresy is a crime that must be countered by violence. It’s further disconcerting that there’s enough evidence to conclude that war and violence are not accidental byproducts of religion. They appear to be essential activities that derive from the core of a faith community. And yes, perpetrators of religious violence justify their aims and means in the name of a great and mighty and jealous God. Evolutionary social biologists have explanations for this. They say that religion’s aspects of preaching violence against heresy is a social strength or a form of fitness that evolved over time into an innate trait of the group dynamic. It promotes solidarity in conflict and battle and hence it bolsters the survival of the group. A vibrant secular democracy, like ours in the United States, however, will foster patriotism and social solidarity without seeking out religious reasons to wreak violence on dissenters. The play you saw, the Broadway musical “The Book of Mormon,” is a perfect example of how a free and open society will tolerate dissent and criticism of religion at no cost to its essential societal strength. It’s urgent that you think this over and even try to embrace the notion that criticism of religions is healthy. And finally, you do realize that the play you saw presented many of the positive aspects of Mormonism in particular and of religion in general? And so, to conclude I offer you this simple unexpected suggestion. Go back and see the play again. And this time seek out and enjoy the constructive elements in the production. Have yourself a gleeful evening and a bunch of hearty laughs. It’s an uproariously rude and satirical show about the positive and negative functions and dynamics of religions on many levels. And if you do go back, then afterward you can be confident that you can go home and continue to practice your piety and believe as you wish. That’s how we live in our great, free and democratic land, in America. Rabbi Tzvee Zahavy earned his Ph.D. from Brown University and rabbinic ordination from Yeshiva University. 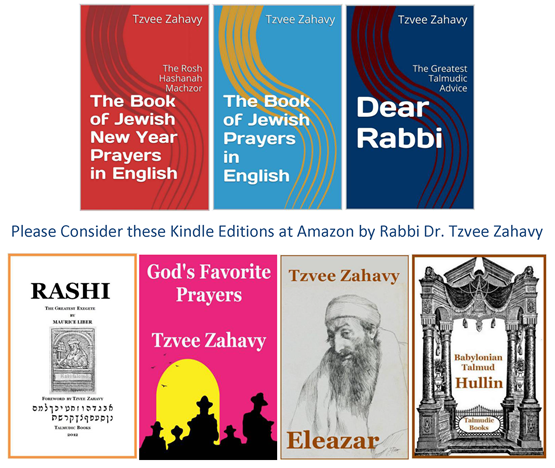 He is the author many books, including these Kindle Edition books available at Amazon.com: “The Book of Jewish Prayers in English,” “Rashi: The Greatest Exegete,” “God’s Favorite Prayers” and “Dear Rabbi” — which includes his past columns from the Jewish Standard and other essays. The Iranian media is abuzz with the rumors that Esther, queen of Iran, is actually a Jew. When asked about her origins and her religion, Esther denied categorically that she was Jewish. She said it was clear at her foster father Mordecai is not a Jew. He is named after Marduke the pagan god. Esther said, "I am a pagan not a Jew." Rumors continue to circulate regardless of her denials. Esther commented, "If I were a Jew that would mean that the Iranian Empire was ruled by a queen who is Jewish. That is completely ridiculous." Esther ascended to the throne after winning the national contest, "Iranian Idol". Her winning performance included the popular song, "Oh joy, it's so good to be a goy." The king was asked as well if his queen was a Jew. He said, "No of course she's not - do you think that we would have selected a Jew to become queen of Iran? It is just as she says. She is an idolater just like all the rest of us." We will continue to investigate this story because the rumors just won't go away. Update: Wait, Wait. She is Jewish! Reporter Brian Williams was at the dinner when Esther proclaimed her Jewishness.